Roof damage is no minor matter—it’s certainly not something you can leave alone and hope it gets better on its own. That’s why it’s important to choose a roofing company that never cuts corners. At our company, we offer a full range of residential roofing services in Arlington, TX. No matter what the size of the roof or the roofing project, we have the knowledge, skills, and dedication to complete any task. Roofs are the first line of defense between your home and the elements. Because of this, it’s important to ensure it is properly maintained. 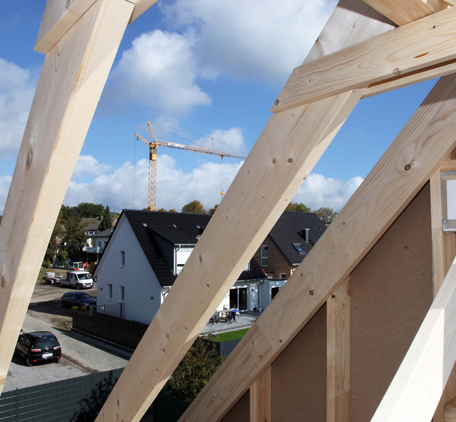 Fortunately, we have a wide range of solutions targeted toward residential roofs. Before you take advantage of these services, however, you need to know when your roof is damaged. We offer the best of both worlds. Our roofers are highly trained and only use high-quality materials and proven techniques to ensure your roof stands up to anything. We will also beat any competitor's bid or estimate by 5%, so you can pay less and still get a roof that you know will last. If any of these issues is extensive enough, our roofing contractor may suggest a replacement. Most roofs last up to 25 years, but need to be replaced after that. Others can get severe damage from storms and need a replacement before their natural lifespan ends. We pride ourselves on being honest in all of our transactions, which means our professionals will never tell you that you need a service you really don’t. Let us know when you’re ready to get your roof repaired or replaced. Tackling repairs on anything as critical as your home’s roof can feel overwhelming. How do you know the contractor you choose is reputable? Will they fix your roof in time to prevent water damage? There are a lot of roofing companies in the community, and most people can't tell a good roofing contractor from a bad one. It's often tempting to go with the company that advertises the lowest prices. But that's not always your best option. A low-quality installation could end up costing you more in the long run. You may also lose your warranty on materials if the roofer fails to follow the manufacturer's guidelines. If the roof needs extensive repairs or replacement, you could end up paying a fortune over time. We offer the best of both worlds. Our roofing contractors are highly trained and only use high-quality materials and proven techniques to ensure your roof stands up to anything. We will also beat any competitor's bid or estimate by 5%, so you can pay less and still get a roof that you know will last. Ensure you get repairs that last. Because of our extensive experience working on residential roofs, we not only have the techniques to perform the perfect repairs—we also ensure your safety, the safety of our workers, and the safety of your property throughout our visit and after. There’s nothing worse than hearing a crashing noise through your roof in the middle of the night. Whether the damage comes from a storm or a downed tree limb, we will be there to make quick work of the repairs. At our company, we want to do what’s best for our customers. This includes providing emergency residential roofing services. Our emergency solutions are available around the clock, allowing you to have peace of mind when you’d otherwise be worried about water damage. Our roofing contractors have experience working in all types of emergency situations, and they’re always prepared for the next one. We apply customized solutions based on the circumstances. For example, if it’s still raining heavily, we will provide a temporary covering until we can fix your roof safely. You shouldn’t have to wait to feel safe in your own home. With our emergency services, you can get your overhead security back in no time. While we have come to be known as one of the area’s go-to sources for commercial and residential roofing services, we want to help our customers with any remodeling projects they have in mind. 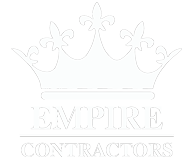 Our owner, Tony, is a former general contractor who has the knowledge and experience to handle anything from storm damage repairs to complete remodels. We specialize in roofs, fences, and gutters, but we also offer painting, flooring, and glass services. Let our team transform your home from top to bottom. Contact us to learn more about our residential roofing services. We proudly serve homeowners in and around Arlington, Texas.